Those costly home-reno projects may be paying off, according to RE/MAX. The billions Canadians have spent on upgrading properties and building new houses over the past decade have improved the quality of real estate and helped almost double prices during the period. The value of a Canadian home has risen from $163,951 in 2000 to $339,030 last year, the real estate giant said. It found that in 10 out of 16 major markets studied, prices have more than doubled. Over the past 10 years, about $340 billion worth of new housing permits have been issued, while Canadians have spent an estimated $450 billion on renovations. RE/MAX estimates that Canadians spend about $60 billion annually on home improvements. “Revitalization, renovation and new construction have been largely underestimated in terms of overall impact on rising average price,” said Elton Ash, regional executive vice president, RE/MAX of Western Canada. Canada’s housing market has so far remained solid despite the global economic turmoil. 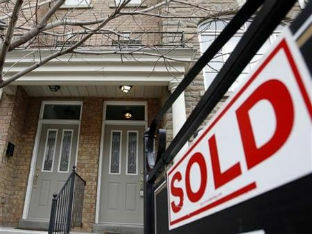 A report by the Canada Mortgage and Housing Corporation last week predicted that sales will continue to rise next year. Prices will also increase, though at a slower pace. The new construction has expanded the boundaries of Canada’s cities, creating new sought-after suburban pockets, while in urban centres old structures are being rebuilt to maximize values, RE/MAX said. The real estate chain said often properties haven’t kept pace with the value of the land they have been built on in inner cities. So plots of land with a bungalow on them are now highly sought after for their redevelopment potential. The other main game changer in the Canadian property market has been condo construction, RE/MAX said. In B.C. and Alberta, condos now account for about 25 to 50% of residential sales. “As the product has gained widespread acceptance, it’s upside effect on the housing mix stands out, keeping homeownership within reach for first-time buyers, creating trendy urban pockets coveted by young professionals and offering aging baby boomers exciting advantages from low-maintenance living, to an active lifestyle and even luxury, with some suites now commanding prices in the millions,” Ash said.